Last week I had the most lovely day meeting Cecelia Ahern in Easons Belfast for her latest release Lyrebird. 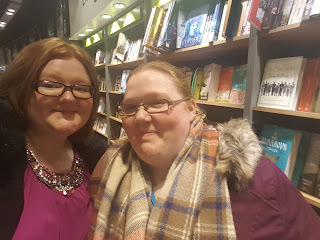 Meeting my sister we could not hold in our excitement and were soon bubbling to the core ready to have a major fangirl moment! My sister opted to have Lyrebird signed and I favoured my two favourite books by the author which are Where Rainbows End and If You Could See Me Now. One of which my sister and I have teamed up to giveaway to one lucky reader. This post was meant to go up hours ago although my partners demanding little pooch would not let me be which is why I wasn't able to. 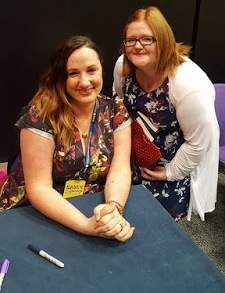 This was my second time meeting Cecelia, the first being her signing for How to Fall in Love. 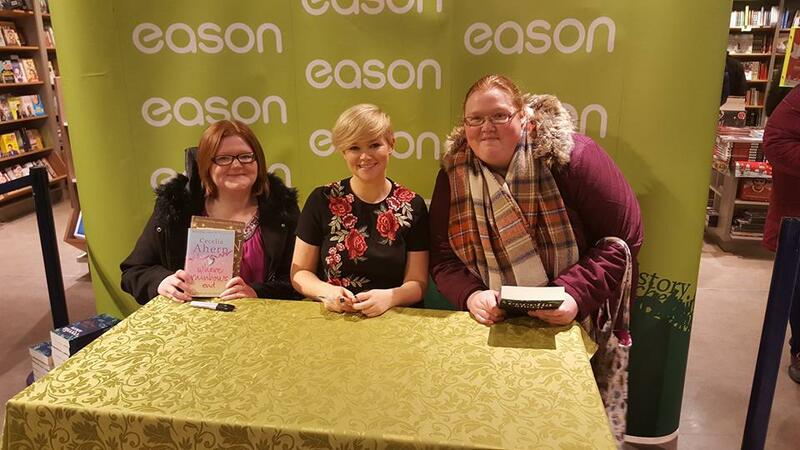 Cecelia Ahern is lovely, she talks to fans like she is interested in what we have to say and I respect her massively for that as I fangirl quite alot. We were so excited that as we were walking away a reporter asked us a couple of questions which you can view below. I love it because I'm babbling and my sister and I are the only two fans talking about Cecelia in the video. You can check it out HERE. I cannot wait for Cecelia Ahern to do another signing as I know I will be attending and I am going to keep checking the Easons website and in store on the look out for signings. 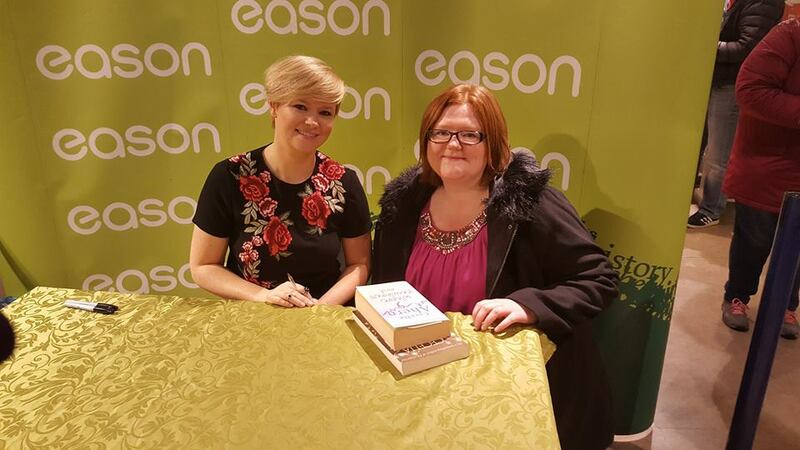 I picked up a signed copy of Flawed by Cecelia Ahern in a local Easons store to giveaway.